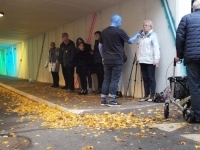 Based on the short campaign films from the the documentary art project “greve has a heart”: a story about a public artwork titled “Hjertemix” created by the artist Helle Hove and Karoline H. Larsen. 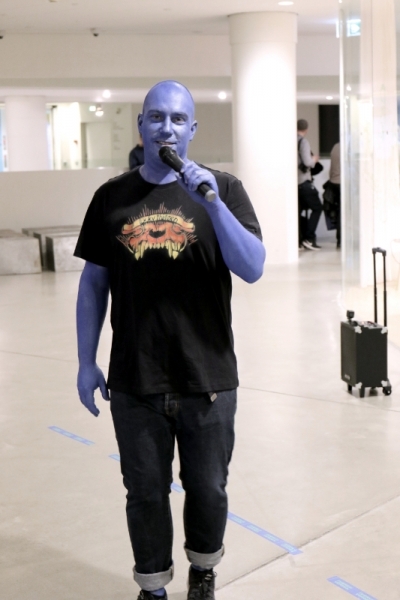 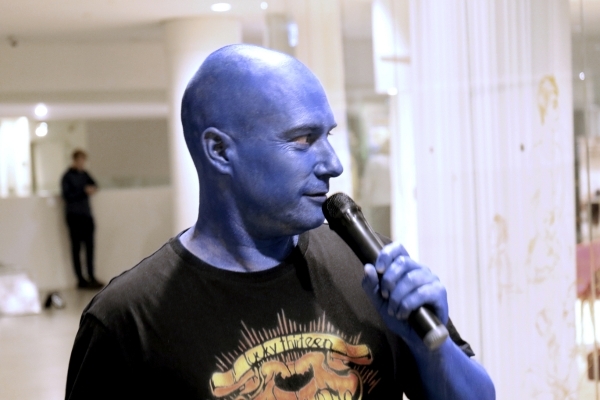 This Avatar character was a physical manifestation of the films main character: the 3d Avatar. 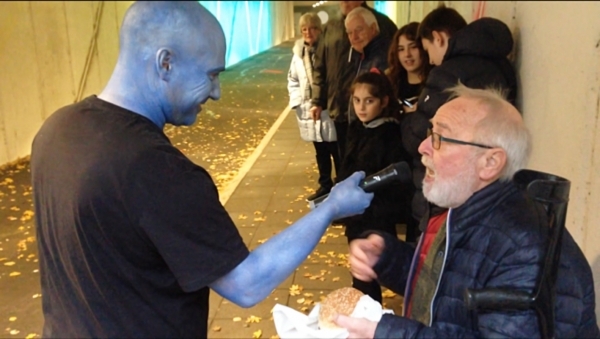 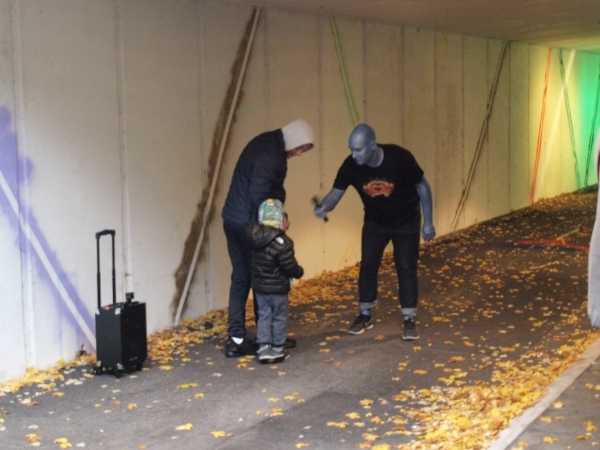 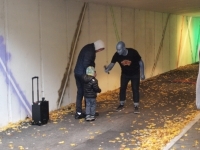 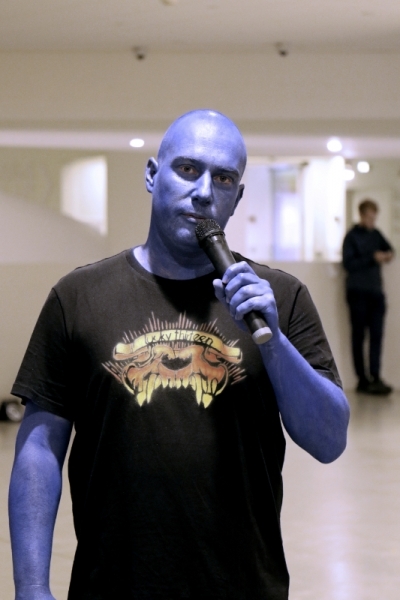 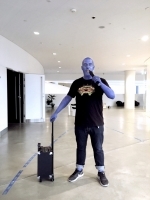 The Avatar character was a blueish real flesh person wearing a black slogan t-shirt from one of the films: stating “lucky thirteen” and all his language derived solely from those who moves through the tunnel on a daily basis, interacting with “Hjertemix”. 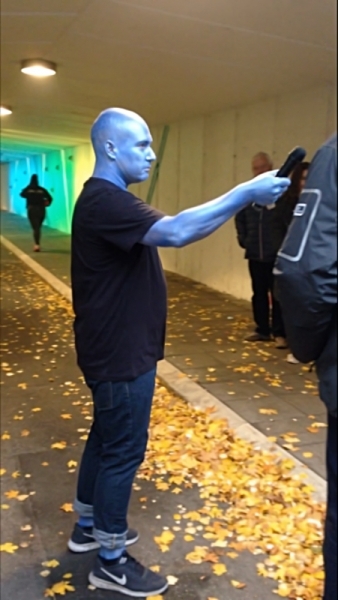 The Avatar became an antenna for the people watching the artwork and at the same time a voice of the artwork “Hjertemix”. This way the artwork could interact with people through the avatar and establish a dialogue. 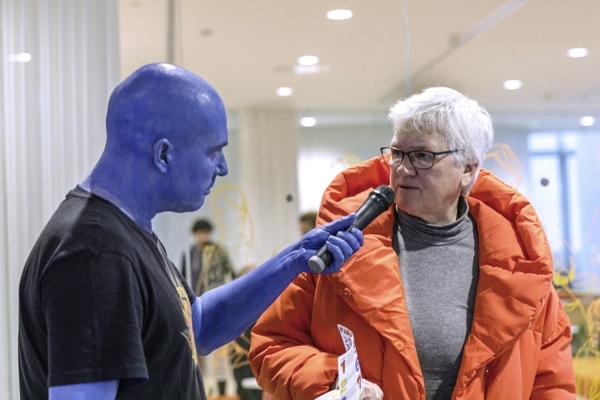 People were now interviewed with the same sentences they had used to describe the artwork “hjertemix” and this created a strange some times hilarious conversation. 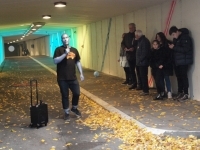 The performance was recreated at AROS Public as part of a final presentation of the campaign #VærkDinVerden. This time, the language was based on pronouncements on art in general and the influence of art on one's daily life. 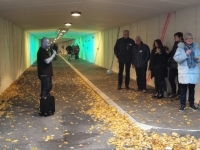 Again based on the short campaign films from the the documentary art project “greve has a heart”.